This gallery showcases a few of our photos taken in 2005 and also provides a bit of the variety of the W.A. Railscene. David & Phil Melling, Geraldton W.A. 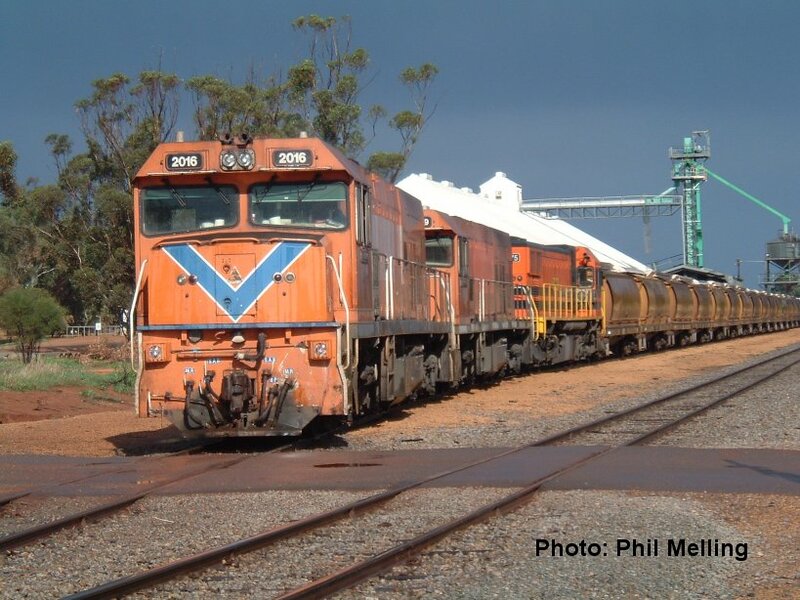 Only minutes after a storm pasted through, P2016/P2009/DA1575 load grain at Arrino on the former Midland Railway on 6 June 2005. 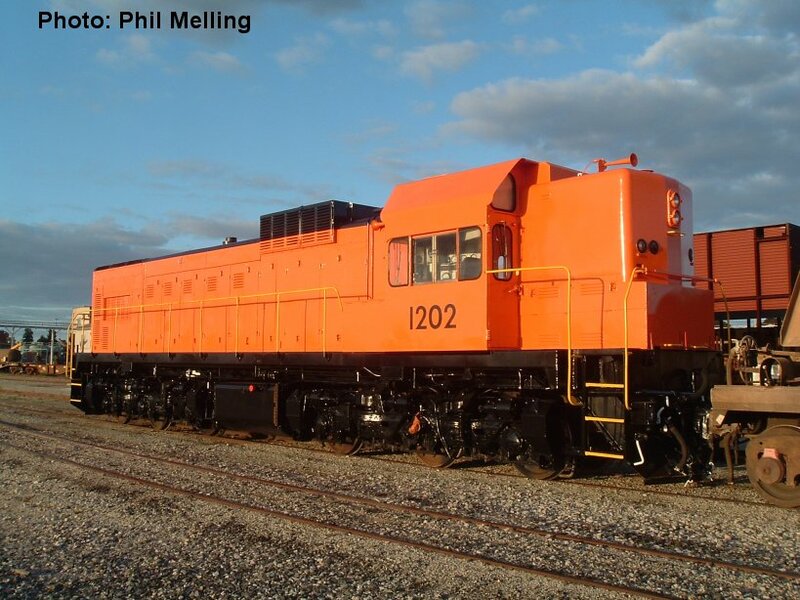 2005 has seen a number of changes to the rail scene especially around Geraldton with a new line connecting the Port to Narngulu and the removal of the old railway. 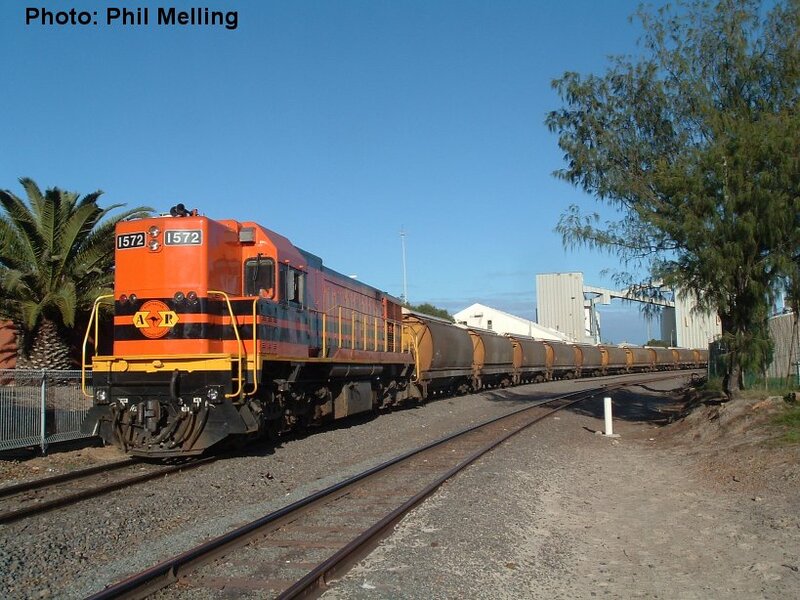 DA1572 with a grain train at Town Beach Geraldton on 24 July 2005. The line was closed on 8 September 2005 and removed only days later. The new line to the south of Geraldton opened on 10 September 2005. 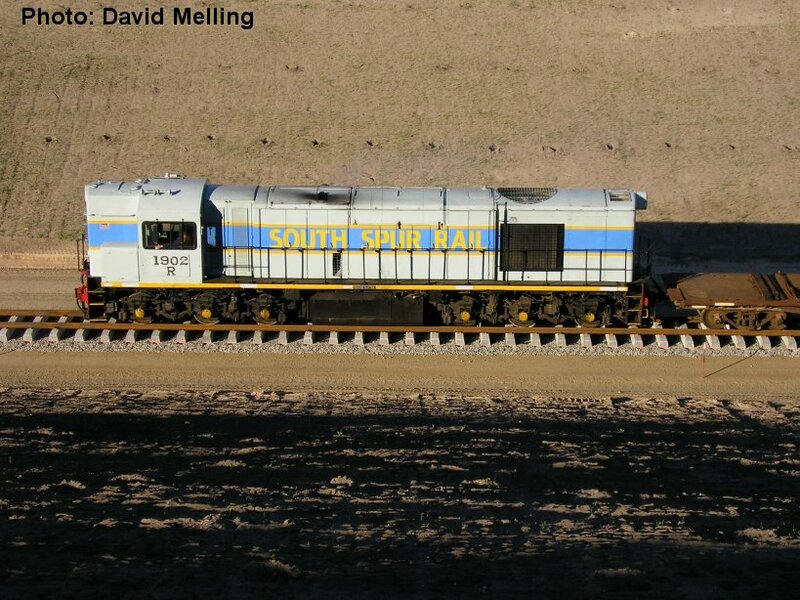 R1902 hauls an empty rail train through the big cutting in Mount Tarcoola Geraldton on 31 July 2005 on the new railway. 1202 ex A1511 stands at Forestfield in Perth in an interim stage of its repainting on 31 August 2005. 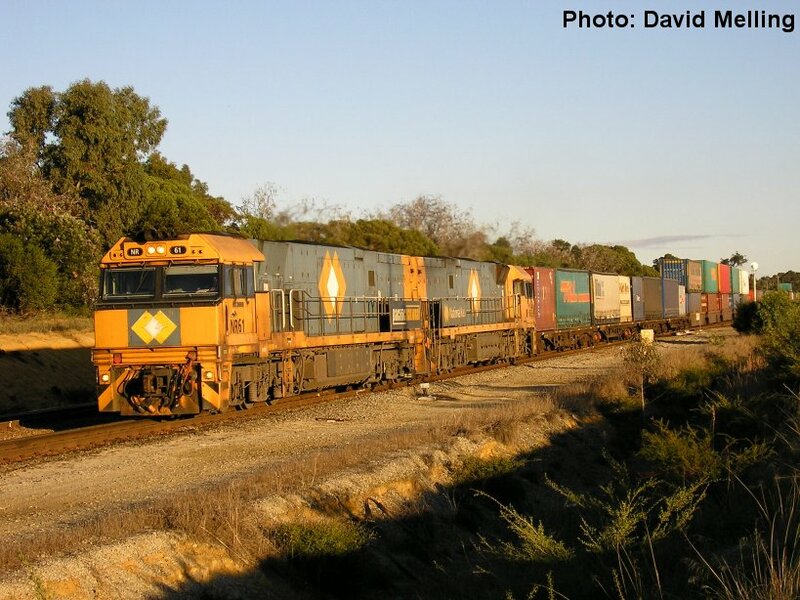 Pacific National's NR61/NR39 haul an interstate freight train out of Forrestfield on 4 June 2005. 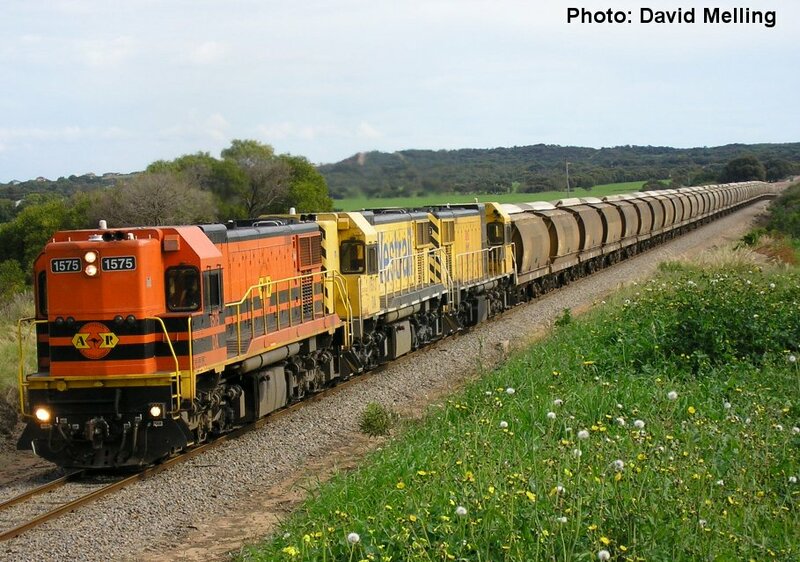 DA1575/DA1573/1906 haul an empty grain train out of Dongara heading for Mingenew on 16 July 2005.